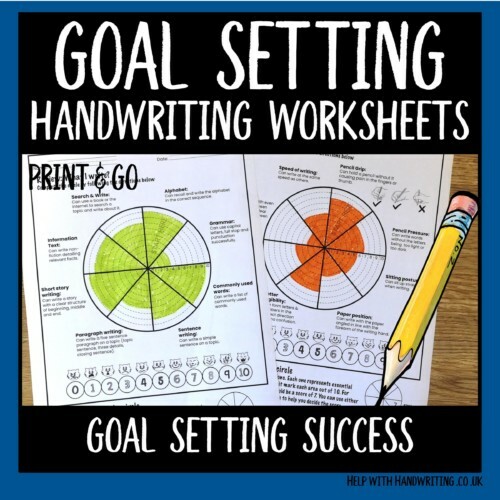 Use this goal setting guide to help you decide whether your child needs specific handwriting help on how to write or help with what they are writing. Sometimes learning how to write can be just plain tricky. 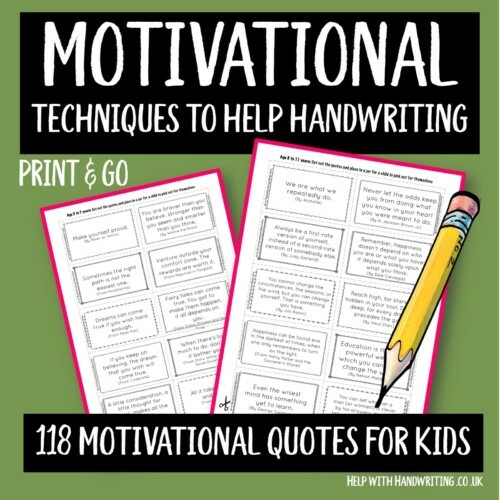 Use these motivational quotes to give your child a boost either before, during or after they have done their handwriting. I place them in a jar for the child to pick out. Use these 3 activity sheets and 2 advice sheets to help you or a child set their own handwriting goals that are realistic and measurable. This is very helpful when writing individual learning plans (ILP).